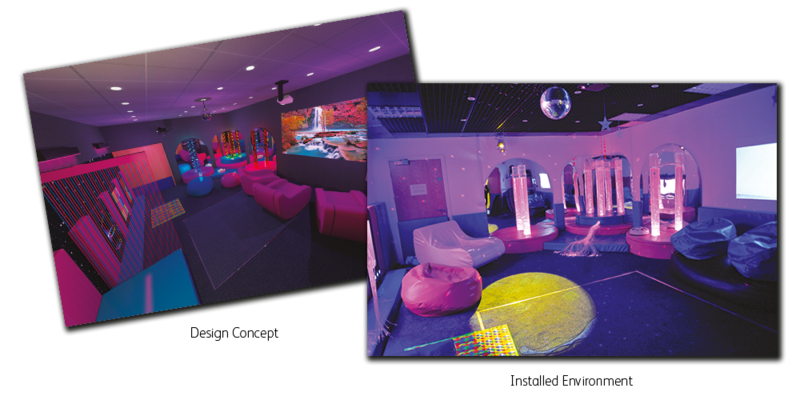 Designing and installing a Snoezelen® Multi-Sensory Environment doesn’t have to be difficult. Using our years of experience, we will manage the project for you to ensure that your experience is stress free! We offer full consultation services to help you every step of the way. Contact one of our Snoezelen Specialists to begin your project. Find your Snoezelen Partner here. An experienced Sales Adviser will visit or hold a video call meeting with you at an agreed date and time to go through your requirements in more detail. At this time they will also take measurements or advise you how to take measurements of the room or space so we can design accordingly. See the How to Measure for Your Snoezelen Room Video. Based on your measurements and needs, our design team will create a custom 3D rendering of your room. We will create an itemized quotation for your project so you can understand where your investment is being placed, and make amendments if required. When you are happy with your design and quotation (changes can be made if needed) we agree on the project and you place an order with us. and perform a site survey taking accurate measurements of the area so we can manufacture to the correct specification. Based on the site survey we will instruct our manufacturing team will produce the items and equipment for your project. Once made we will agree a time and date of installation – our highly skilled installation team will visit and install your brand new environment. We offer a variety of training options from half-day to full-day and to on-site and remote options.